Sky Betting become the first Ping Pong Champions of Leeds! Leeds Corn Exchange was the magnificent setting for Ping Pong Fight Club’s first foray outside of London, on October 12th. 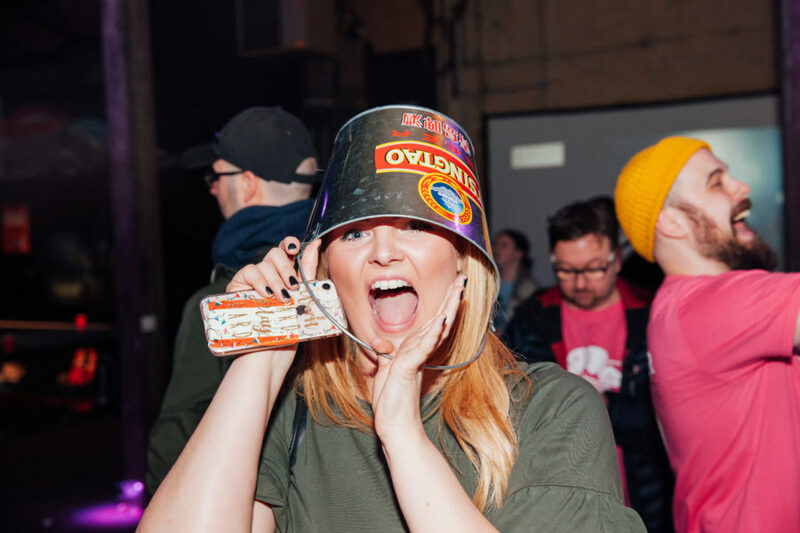 Companies of all sizes and sectors, from Sky Betting and Gaming to Team Emmerdale, gathered from across the city to compete, party and play. 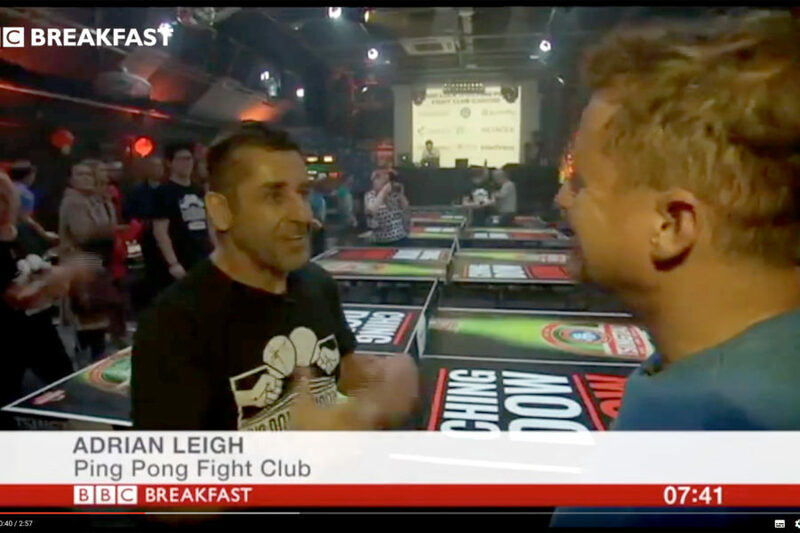 John Lewis were the loudest, Bolser Agency the ‘bolshiest’, as ping pong alter ego’s took over the night! 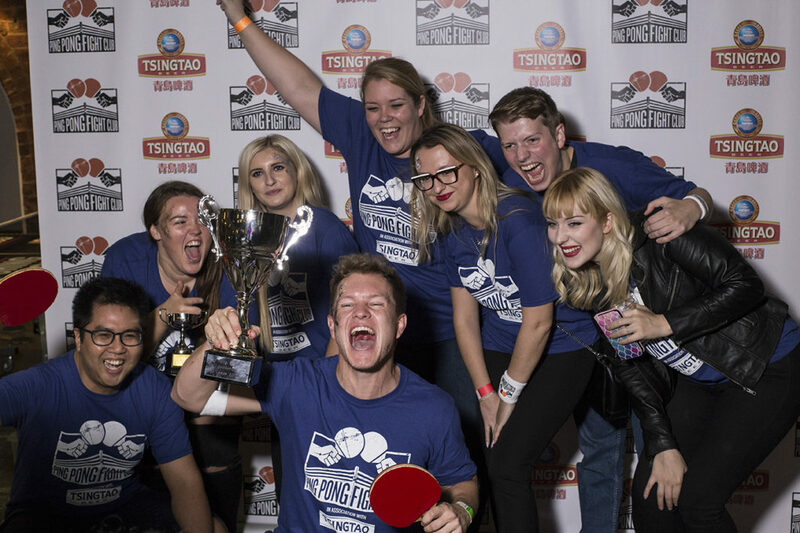 The Tsingtao Beer Pong Championships steadied the nerves, loosened the tongues and many new Fight Club friends were forged during the heat of drinking! The ‘Pongbot Challenge’ exposed all-comers’ ping pong shortcomings and proved to be a constant source of amusement throughout the night, until we hit the ‘business’ end. Add into the mix some brilliant music from Parisian DJ Thomas and more raucous support from the likes of Banana Kick, Better Placed Recruitment and Tetrad Discovery, the stage was set for a brilliant final. 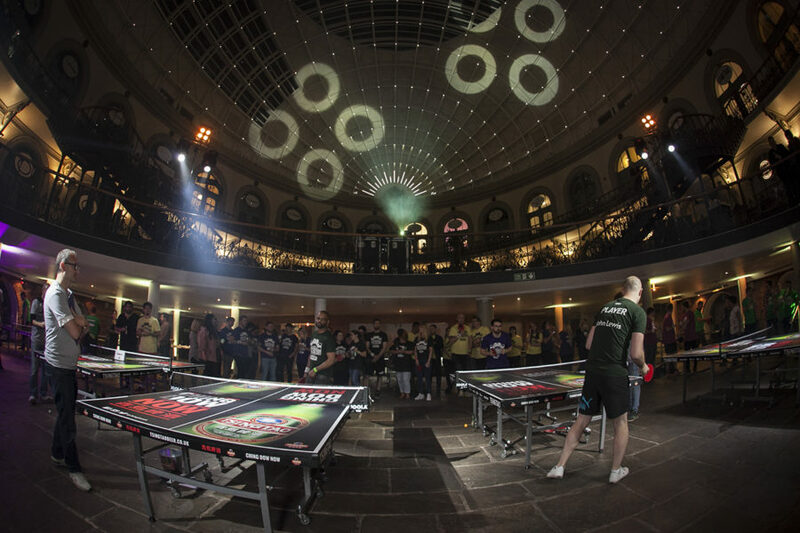 As the tension crackled underneath the magnificent dome, the stage was set for the two gladiators to fight it out for their company’s honour and the ping pong bragging rights of the city of Leeds! David Hickling from Better Placed Recruitment v Andrew Gradwell from Sky Betting and Gaming. Would Andrew get headhunted? Would David have the odds stacked against him? An epic final produced a worthy Ping Pong Fight Club Champion in Andrew Gradwell, who helped his team walk off with the Team Championships too!